When most birders think of seabirds, they imagine a lone bird soaring over endless waves. While that image is accurate for many seabirds, understanding the different types of seabirds can lead to a much better appreciation of these unique and varied birds. Albatrosses are tremendous pelagic birds. They are among the largest flying birds in the world, with mammoth wingspans and long, narrow wings that give them superb lift for easy flight. Unlike many marine birds, albatrosses also walk well on land. There are 22 albatross species in the world, all of which are part of the Diomedeidae bird family. There are many types of auks, but with their compact bodies all are well adapted to northern seas and colder waters. Murres, puffins, and guillemots are all types of auks. These birds typically have upright posture on land but can be clumsy when walking. Most have black and white plumage, and many also have colorful bills or distinct markings. All auks are part of the Alcidae bird family. Boobies are named for their somewhat silly or stupid expressions and history of gullible behavior where hungry sailors are concerned. These are beautiful tropical gannets with bright bills and feet, including the familiar and celebrated blue-footed booby. 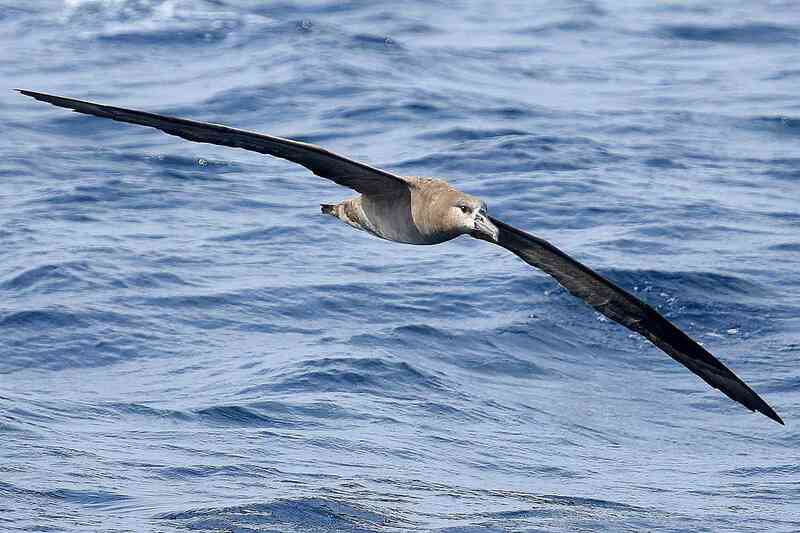 These are larger, heavy birds that can seem awkward in flight, but are often seen perched on buoys, cliffs, or rocks. All boobies are part of the Sulidae family. Also called pirate birds or man-of-war birds, frigatebirds are stately fliers with long, hooked bills, sharply pointed wings, and boldly forked tails. The red throat pouch of the males is distinctive, as is this bird's high, soaring flight. These are large birds that may circle slowly and elegantly before diving to steal fish from other birds. All five frigatebird species belong to the Fregatidae bird family. Often confused with gulls because of their chunky build and short tails, fulmars are actually a type of petrel. They are opportunistic feeders and forage widely, including visiting land for trash or carrion. They are tubenoses with prominent bill structures that help filter salt out of the seawater they drink. There are only two fulmar species in the world, the northern fulmar and the southern fulmar. Both are included in the Procellariidae family. Gannets are large seabirds with chunky builds that appear somewhat ungainly on land, but they are strong fliers and powerful dive fishers. Their white plumage, buff-tinged head, and black wingtips are distinctive for all three gannet species: northern gannet, cape gannet, and Australasian gannet. Because of those similarities, range is critical to tell the species apart. All three gannets are part of the Sulidae family along with their close relatives, the boobies. A type of auk that resembles penguins, murres have dark and light countershaded plumage and will swim underwater in pursuit of fish. When on land, they have an upright posture and waddling gait. There are only two murre species, the common murre and the thick-billed murre, both of which are found in northern oceans. These species are part of the Alcidae bird family with other types of auks, including puffins and guillemots. Flightless birds of the southern oceans, penguins are specialized seabirds well equipped for frigid waters with insulating plumage and fat. They are stunning swimmers and have specialized flippers rather than feathered wings. Despite their chilly reputation, however, several penguin species actually breed in tropical regions. The 18 penguin species vary greatly in size and range, though several types of penguins are physically similar. All penguins are in the Spheniscidae bird family. Petrels are small seabirds are distinguished by their elongated, tubular nostrils and their low, wave-skimming flight. They often stay so close to the water that they have the appearance of walking on its surface. Like many seabirds, petrels stay at sea nearly all their lives, returning to land only to breed. Birds called "petrel" are found in several scientific families. While some classifications are not universally accepted, the true petrels are generally considered part of the Procellariidae family. Puffins are large auks with broad, colorful bills and whimsical expressions. Because of this, they are often called sea clowns or sea parrots. They are powerful swimmers and nest in large breeding colonies, typically on offshore islands or isolated northern coasts. On land, they have an upright posture, and in flight their wing beats are rapid and their path direct. There are only three puffin species, horned, Atlantic, and tufted, and all are in the Alcidae bird family. 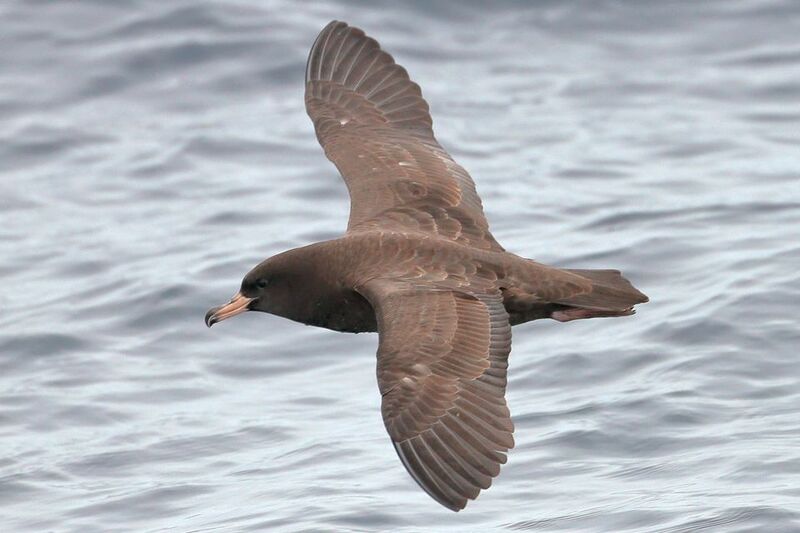 Shearwaters are small petrels with long wings that specialize in low, gliding flight. Their wingtips may brush the waves and "shear the water" as they fly, giving these birds their familiar name. There are more than 30 shearwater species and these birds can be found worldwide, but they often remain far out to sea. Where feeding conditions are ideal, they can gather in large groups, especially where upwellings bring prey such as fish, plankton, and squid close to the surface. Shearwaters are part of the Procellariidae family. Unlike many seabirds, tropicbirds have primarily white plumage and are easily identified by their very long streaming tail feathers. They have short legs and are shallow plunge divers when they hunt. There are only three species of tropicbird: the red-billed tropicbird, the white-tailed tropicbird, and the red-tailed tropicbird. Because they are so distinct, they are the only members of the Phaethontidae family. Can You Name All the Penguin Species?